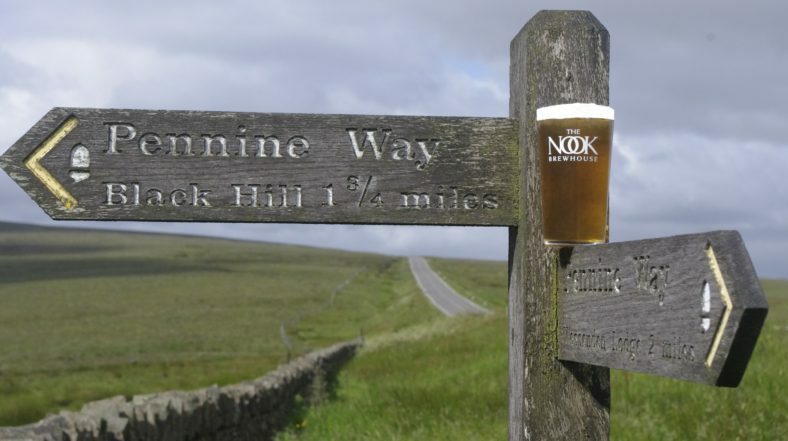 We are please to reveal that the Nook Brewhouse has been selected to brew a brand new ale as an official beer of The Pennine Way. 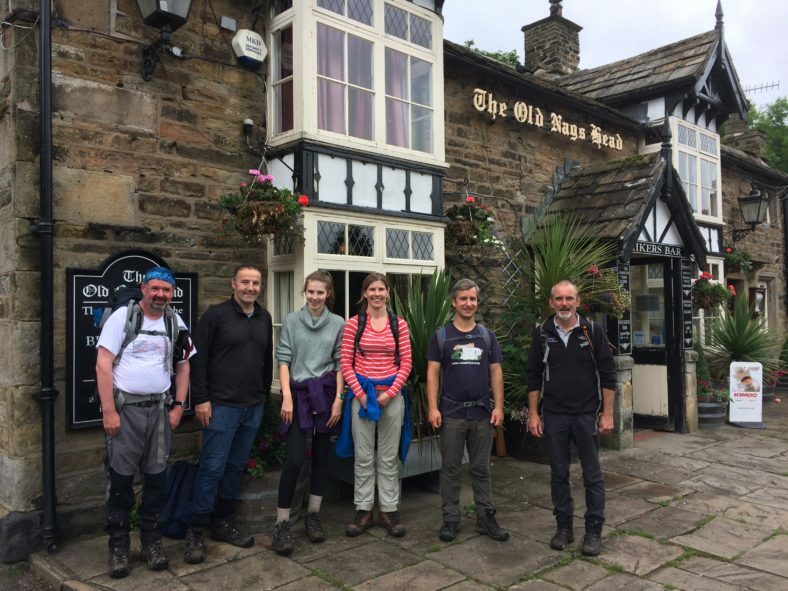 The beer was officially launched at The Old Nags Head in Edale, Derbyshire (the official starting point on the trail on 30th June. A hardy group climbed to the summit of Kinder Scout, one of the Pennine most iconic peaks and return to the pub to slake their thirst with several pints of Pennine Light. 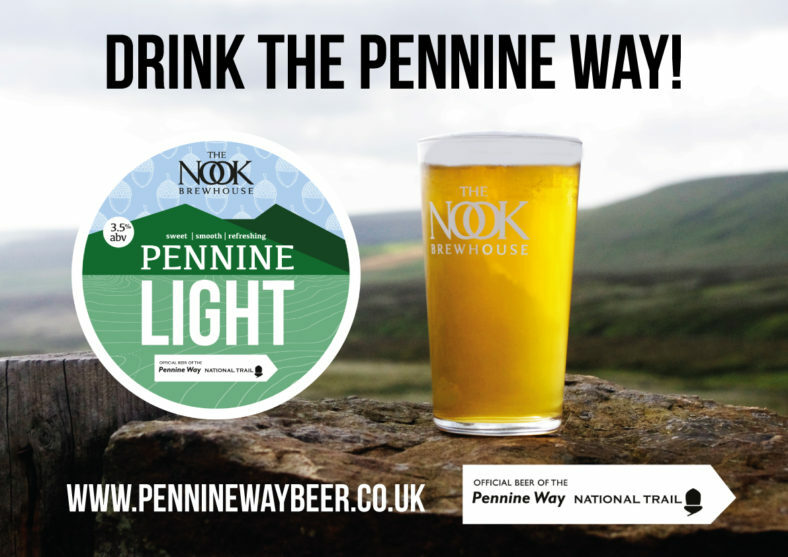 Pennine Light 3.5%abv will be available in cask to outlets along the length of the Pennine Way but also to other pubs, bars, restaurants and hotels within our direct delivery areas including Manchester, Leeds, Bradford and Sheffield. Stockists will be listed as part of the trail’s interactive map online at www.nationaltrail.co.uk/pennine-way/plan when they have taken delivery of the official ales. The maintenance of the trail will benefit from a financial contribution from each pint or bottle that is sold.